Seymour Distribution is part of the Frontline Group (a joint venture between Bauer, Immediate Media Company and Haymarket Publications) and is the largest distributor of UK magazines internationally. They take great pride in their ability to adapt to an ever-changing market, providing bespoke solutions for their clients and their new offices above Smithfield Market in London also mirrors this business ethos and diversity. The new Seymour office refurbishment would need to be sympathetic to the existing building’s heritage, where a certain amount of unique planning and design would be required. They would turn to Windsor-based Blue Jelly to design and complete the transformation of their new workplace. At Blue Jelly they design and fit-out workplaces, whether refurbishing or relocating their team combine creative design with an established process to deliver exceptional environments. 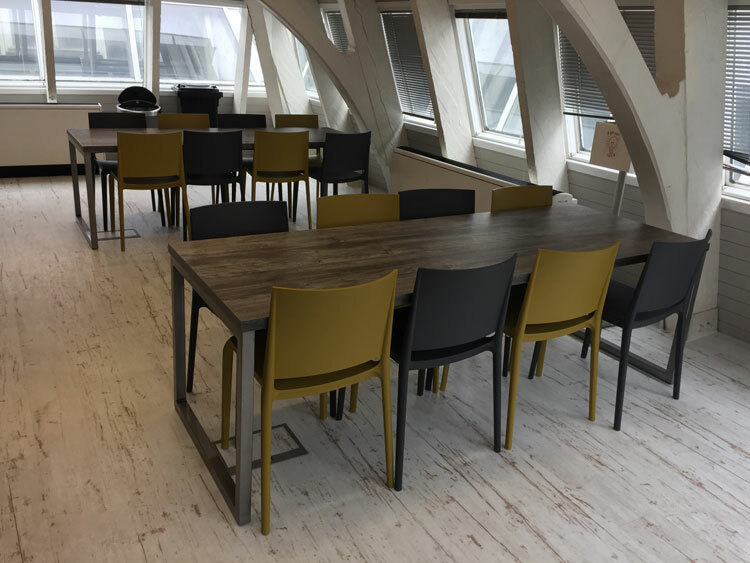 In specifying the all-important flooring aspect of the project Blue Jelly would select some 113m² of Creation 70 LVT flooring from international flooring specialists Gerflor. “Rob Ansell our Business Development and Account Manager originally met with Seymour distribution back in 2007. Ten years on, we pitched against one other company before being appointed to undertake the refurbishment in occupation. 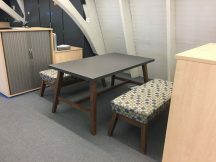 “We chose Creation 70 LVT in ‘Gilmore’ from Gerflor for the tea-point rooms and their Creation 70 in ‘Oceanside’ was used in the breakout area. Gerflor offer designers a superb range of stunningly beautiful luxury vinyl tile (LVT) solutions with their Creation collection. This amazing range won the 2017 CFJ/CFA Product of the year and their Creation 70 product scooped the coveted Red Dot Design award last year, which is akin to receiving a ‘Design Oscar’. With a collection of vibrant modern designs, Creation 70 is a designer’s dream, providing a tough and durable solution and is available in 58 spectacular designs. Equally stunning in looks is Gerflor’s Creation 55 which is a perfect match for moderate office traffic areas. The sophisticated Creation 70 range offers a brand-new palette of realistic wood and mineral finishes in tile and plank formats with beveled edges. In addition to this, the looselay Clic System’s unique vertical interlocking format allows this product to be laid quickly over most existing surfaces, with no need to close premises during refurbishments saving customers time and money. The Creation range is also 100 per cent recyclable, REACH compliant and is treated with PUR+ surface treatment, providing excellent cleaning characteristics and improved resistance to scratching. “Gerflor products are very easy to work with and offer great colour options for the client to work from, which helps the decision-making process on a fast-moving project like this. The Gerflor products were very forgiving, which means that we didn’t have to apply sub-floor preparation. 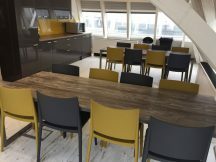 “Our client is extremely happy with the project and we have selected Gerflor products for several of our other projects which we are currently pitching for”.